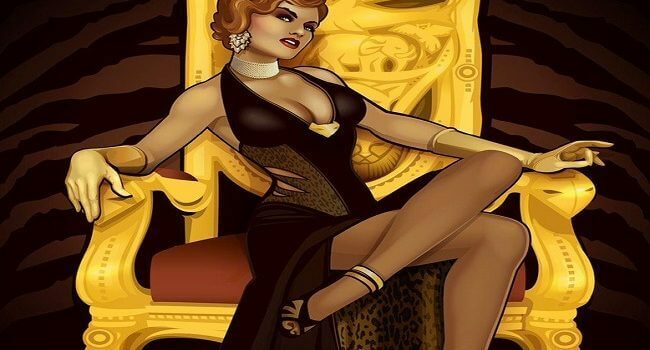 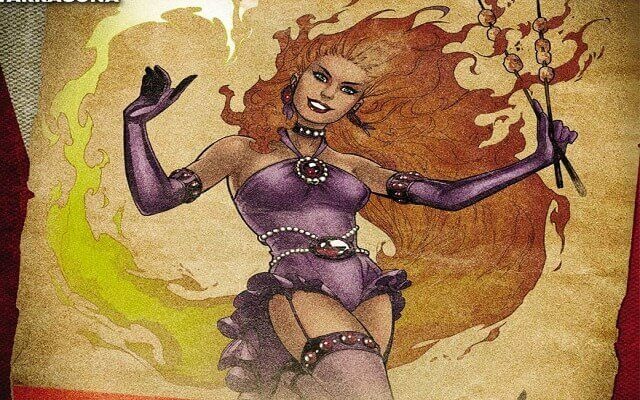 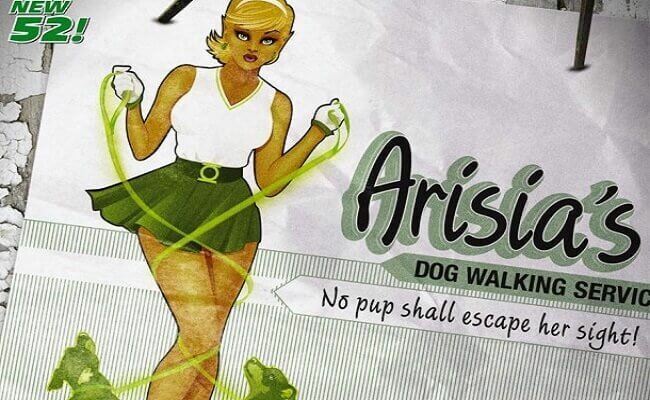 In DC Bombshells, Arisia is a member of the Green Lantern Corps. 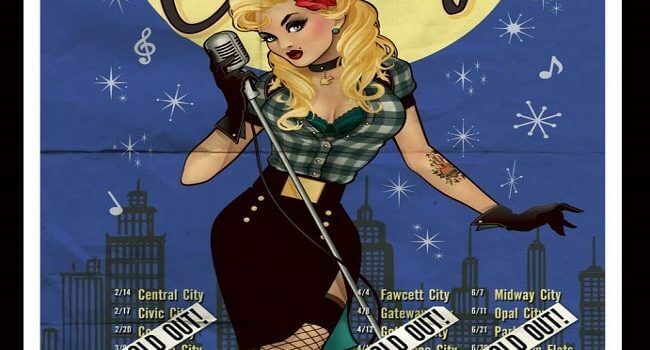 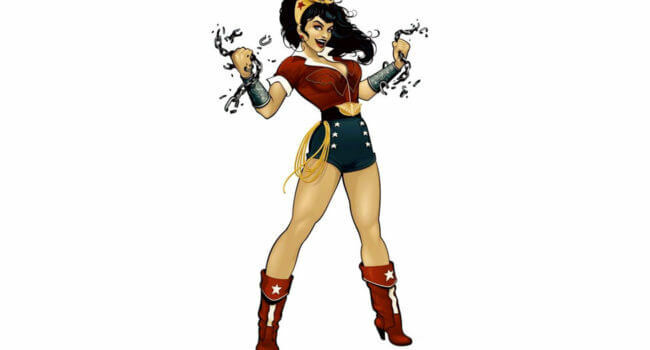 She is modeled after the pinups of the 1940's, as seen in this dog walker flyer. 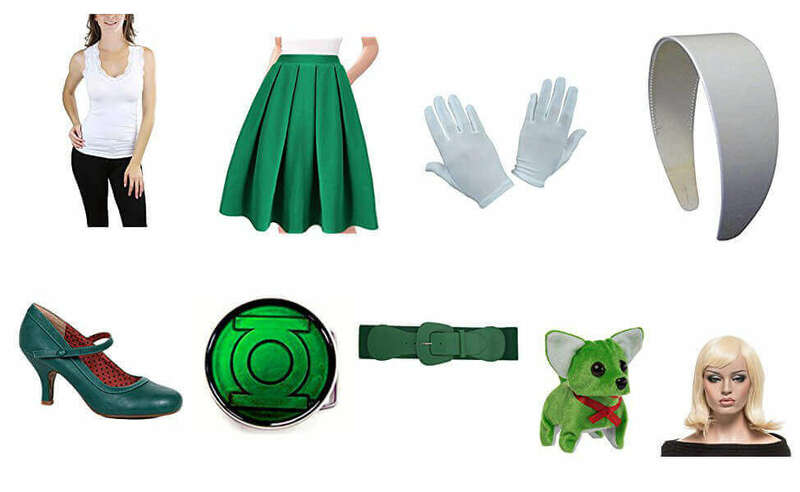 Her look is relatively simple, but the small Green Lantern details give a nod to the character history.